Kevin Watson has an interesting post responding to Rachel Held Evans’ argument that we cannot overcome sin. Watson argues that the Wesleyan teaching of holiness is often rejected precisely because people are persuaded by arguments such as Evans’. The point Wesleyan Christians have made consistently is that we cannot overcome sin, but that Christ can. If we are growing in holiness by working out our salvation, the Holy Spirit does, in fact, have the power to overcome sin. It is along journey for many, but it is not impossible for God. This is not the fullness of the gospel. The gospel proclaims that Jesus was the Son of God, he was crucified, died, and raised again on the third day. Jesus faced the very worse that sin and death could do. He entered fully into the reality of death. And he conquered sin, even the grave! Here is what it comes down to: Which do you believe is more powerful: sin or God? If you believe that people are not able to “go and sin no more,” then you believe that sin is more powerful than God. If you believe that God is more powerful than sin, which I think is the conclusion Christians must come to, then you may need to take a closer look at the reflexive excusing of the reality of sin in the lives of those who have taken on the name of Christ that is prevalent in contemporary American Christianity. The most needful and difficult task of the church today is to again preach the message of the Cross, and to do so in a way that alarms, surprises, scandalizes, challenges, invigorates, and inspires a 21st century world. What that would look like exactly is hard to say; our theologians and pastors need to help us here. In the most general terms, it has to be about Christ first and last. It has to be about the Christ who came into the world not to improve generally good people, but to resurrect the dead, not to bolster our self-esteem but to forgive us, not to make people successful but to make them loving, not to win the culture but to establish a kingdom without end. Even more scandalously, the message of the Cross is about a universe saturated with grace, where nothing we have done or can do earns us the right to participate in this stunning new reality; all has been done for us. The best we can do is acknowledge the reality (faith) and begin to live as if it is reality (repent). Posted on January 21, 2013 by John MeunierPosted in Jesus, PreachingTagged Christ, Cross, Preaching. 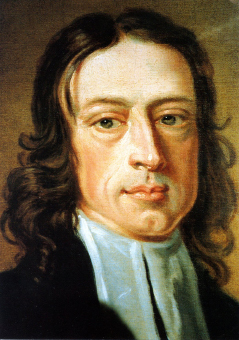 In the midst of his “An Earnest Appeal to Men of Reason and Religion,” John Wesley shares with his reader an example of his typical manner of preaching to sinners. It is too long to reproduce in whole here (and my fingers would get too weary), but here is my take on the gist of it. He starts with the experiences — might we say “felt needs” — of the sinner. He speaks of the restless heart and the heaviness that even laughter cannot mask. He speaks of the twinges of guilt and fear the sinner feels when his or her mind turns to eternity. And for those who insist there is no “hereafter” he broods upon the awful significance of oblivion at the end of life. By these and other means he seeks to stir up anxiety about death and dissatisfaction with life lived without any thought of eternity. And then the message turns. The moves are obvious and even predictable, but this makes them no less effective. Wesley certainly was the means by which many sinners were converted. His method, as I see it here, was to zero in on the unsettled souls of the hearers and to unsettle them even more. He tried to cut through the defenses we have against the big questions of life and existence. And once he had stirred up fear and anxiety — which are the natural outcome of talking about death to those doomed to die — he offered Christ. Having explained the disease, he provided the cure. The first move strikes me as the pivotal one. In my own preaching, at least, I find stirring up anxiety and fear of God a trial. Even in general terms, people don’t like to hear that they are not inside the kingdom. And in our culture that has made “comfort” its hallmark, getting people to experience anxiety of any kind is both difficult and unwelcome. Nonetheless, I want to take a lesson from Wesley here. I certainly want to preach and teach in ways that lead to life. Maybe his methods do not fit our day, but I know I could learn to do this better. Posted on November 14, 2012 November 14, 2012 by John MeunierPosted in Preaching, Salvation, SinTagged Christ, john wesley, Sin.